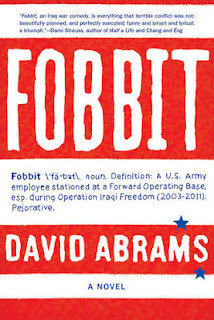 Of course, I have the official bio for the amazing David Abrams: his debut novel about the Iraq War, Fobbitt, was a New York Times Notable book, a Best Book of 2012 by Paste Magazine, St. Louis Post-Dispatch, and Barnes and Noble. He regularly blogs about the literary life at the wonderful The Quivering Pen. 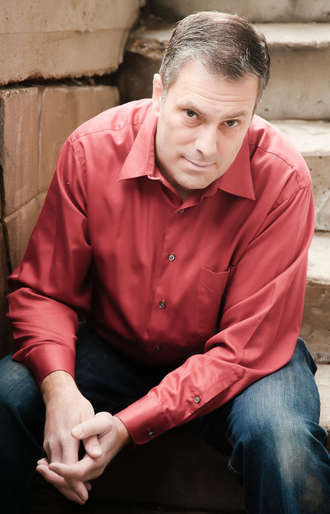 But the unofficial bio is that David Abrams is one of the kindest, smartest, most generous people you'd ever want to meet, and I'm really honored to consider him a friend. His blog has this extraordinary feature called MY FIRST TIME, where you can write about your first publication, your first rejection, your first attempt at a poem. I'm spreading the word and encouraging writers to write for him. And David--many, many thanks for everything you do. 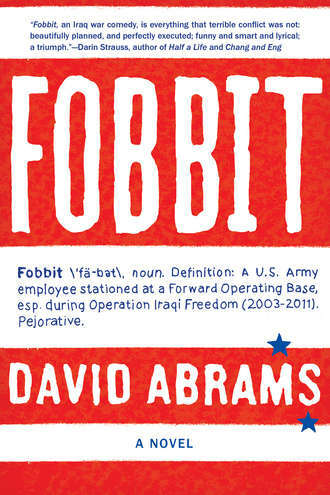 And by the way, David is reading from Fobbit at the 86th and Lexington Barnes and Noble for an event with Ben Fountain and Robert Olmstead on the 17th at 7. You don't want to miss this. Trust me. 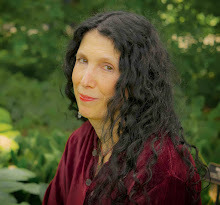 My First Time is a weekly feature at The Quivering Pen books blog in which writers recount certain “first experiences” in their writing/publishing careers. The content is generally anecdotal in nature and is designed to inspire both writers and readers with a sense of how a writer evolves from those first steps in his/her career. My first publication: What were the circumstances behind your first publication? How did it make you feel? What other opportunities did it lead to in your writing career? My first editor: How did your first editor help shape your work? Was it a good or bad experience? (Names need not be mentioned) This doesn’t necessarily have to be the very first editor you ever had; let’s call it your first meaningful author-editor relationship. My first agent: How did you find your first agent (or did he/she find you)? What role did that first agent play in your career? My first inspiring teacher/mentor: This could be your high school English teacher, a college professor, a fellow writer, or even your mother. How did they encourage your writing? My first failure as a writer: This could range from a small stumble early in your career to an “epic fail.” What mistakes did you make—either in the writing itself (flabby plots, weak characters, etc) or in a career choice you wish had gone a different direction? How did you learn to “fail better”? If you could go back and give your younger self some advice in that situation, what would it be? My first success as a writer: The converse of the above. What did it feel like to get the news your book or story had been accepted for publication? My first public reading: If not the very first, then the first memorable public reading—whether it was sharing that Thanksgiving poem with relatives gathered around the table when you were 13 years old, or the first time you stood in front of 30 strangers at the local bookstore to read from your first novel. What were the circumstances, and what lessons did you take away from the experience? My first review: Good or bad, how did it feel to see your work analyzed in print? The first book that made me fall in love with books: I realize this is a bit of an obvious question for a books blog, but I think we’re all curious about the early books that shape an author’s life. These are only some of the “firsts” to be featured at The Quivering Pen. I’m certainly open to any other ideas for stories related to a writer’s initial steps. I’m hoping the topics will be mere springboards and that responses will lead to deeper and more personal stories from the participating writers. I know your time is valuable and many of you are already spread thin with other writing obligations, speaking engagements, and “day jobs.” Unfortunately, at this point I’m unable to monetarily compensate for contributions to the blog. I will, of course, wholeheartedly promote your book or other published work in an introductory bio note. And you would have my bottomless thanks for whatever you could contribute to the blog. If you would like to participate in “My First Time,” please send it as a Word document or in the body of an email to david.abrams@gmail.com, indicating this is a submission for “My First Time.” Word length is generally 250-750 (though authors are certainly free to go longer if they feel the story warrants it). P.S. 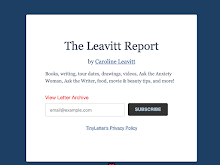 If you know of another published writer who would be interested in contributing, feel free to pass along this email.